Culture Amp makes it easy for culture-focused companies to collect, understand and act on employee feedback and improve employee engagement, experience and effectiveness. "Culture & Change Management Lead"
I don't have a dislike but an area for improvement would be to make it easier for their clients to analyze qualitative comments. I think they are working on making that process easier for clients. It is one of the best Engagement tools I have used for Engagement surveys. The methodology of the instrument is sound. They are continuously finding ways to improve the tool. We want to ensure that our employees have an opportunity to share their opinions on how we are doing. The Engagement survey from Culture Amp is a great tool which we have utilize for that purpose. The benefits have been huge increase in survey participation year over year, efficiency, and adoption of best practices. "My FAVORITE employee engagement tool!" There are so many things I love about Culture Amp! Although the tool is very self-service, they have an incredible support staff (who I use often) and a help article or blog post for any question I have. I love how easy it is to set up surveys and the various ways I can analyze the data I receive (especially through the heat map and new comment analysis feature). Anther really important feature for me is the market benchmarks - these are so helpful in giving us an idea what best in class engagement could look like without our industry. I've been using Culture Amp for four years now and any time I gave them product feedback I eventually saw changes or new features that solved my issues! I can't wait to see how the tool evolves. As of now my only dislike is that I don't have a seamless integration with my HRIS (although I don't have a seamless integration between ANY of my HR tools and my HRIS). We use Culture Amp mainly to measure and track employee engagement, improve retention and employee happiness, and for capturing onboarding and exit data from our coming and going employees. Before using Culture Amp we had no way to measure engagement and therefore the People Operations team had trouble setting measurable goals. Four years later my team was able to add the Engagement Index into our 2019 Company Strategic Goals and build our annual OKRs around this one metric. "Great for building an Engagement program!" It's SO easy to build surveys, and to view actual results without having to calculate everything by hand. . For people who don't love numbers, the reports are easy to use and understand. It's also very easy to share results with managers and department heads. I wish there was an ability in the system to conduct t-tests, or measure statistical significance. This would add a layer of depth to the reporting. Book a demo today!! I absolutely recommend the product. We needed a platform that the employees trusted was anonymous/secure, and a system that made basic data analysis go quickly-- and CultureAmp really fit that bill! Instead of taking 2+ weeks to analyze the data in Excel from SurveyMonkey, I can do it in a day or two in Culture Amp. It almost pays for itself right there. "Employee Insights Made Easy! Wish I had dashboards like Culture Amp for our product "
I love how EASY it is to get set up and get insights with Culture Amp. We blundered through an employee engagement survey done on Google Surveys and spent a week analyzing and preparing to share the info, doing our best to protect confidentiality of employees. We then got set up with Culture Amp and spent that time working with teams to figure out how we can best act on the results shared through the survey! That's MUCH better time spent :) I'm grateful to have data to focus our exec team on what matters most for employee engagement and satisfaction. What's even better is that we are so happy with the engagement survey (primary reason we signed up), we are now using for on-boarding and off-boarding surveys to truly understand the employee experience from start to finish. There could be better protection against disclosing identities of minority groups through filtering, too. We do our best to set filters and demographic minimums, but don't always pre-empt what might show results for smaller populations. Just get started. Don't bother with HRIS integration--too messy. Easier to use a spreadsheet so you can combine teams or separate them out, and also try out adding new demographics easily without making system changes. Also easier to share with business partners to understand who is included in their team results. Focus. We no longer attempt to "boil the ocean" with our employee-focused efforts. Our People team has OKRs set around our engagement survey results, as do some of our bigger teams where there were results that indicated focus was needed to address pain points. Being a tech company, we love data. These surveys allow us to speak the language of employees and help focus feedback on action vs. making it personal. It's really allowed us to address the elephant in the room when there are issues felt cross-team, or even cross-company. "An absolute must-have for all People and Data geeks out there!" Incredibly insightful, I wouldn't trade it for any other people analytics tool. It's intuitive and user friendly and great experience for admins too! Setting up surveys is a breeze and having templates for engagement, onboarding, manager feedback and other kinds is extremely helpful so you don't have to build things from scratch. The best part is reporting - it's fascinating to go through data on your own but you get lots of support from the team at Culture Amp, too. The team is great, going above and beyond throughout the whole onboarding process and beyond. They even send their clients a lovely surprise welcome kit! They're super supportive and skilfully persuasive without being the least bit annoying. They really help you get the most out of the tool while understanding your needs. You get access to Academy where you can learn a lot about how to use the tool best and how to understand the data. In addition, the guys organise lots of workshops where you get to meet the people geek community, learn and share experience, talk about challenges that businesses face etc. - it's a wonderful opportunity to meet people from different industries and share ideas. The absolute only thing you need to be aware of is that data you get is fascinating but can be overwhelming so give yourself some time to digest it, go through it with other key stakeholders and think carefully about what approach you take when sharing and communicating the results to the wider team. If you are searching for a really powerful people analytics tool and team behind that will actually help you understand your people, put results to action and lift engagement at work, Culture Amp are your guys. The absolute only thing you need to be aware of is that data you get is fascinating but can be overwhelming so give yourself some time to digest it, go through it with other key stakeholders and think carefully about what approach you take when sharing and communicating the results to the wider team. Culture Amp is not merely a survey tool, it’s powerful people analytics that provides us with fascinating data into areas like leadership, teamwork and ownership, company confidence, service &quality focus, innovation, enablement etc. – all of which make up overall engagement. Its driver analysis that helps you identify areas that have direct and highest impact on overall engagement is absolutely fantastic – you could spent time and money on improving, say, compensation if you felt people were unhappy about it, but if this wasn’t directly correlated to engagement, you’d stay where you were, trying to fix salaries while getting nowhere near lifting engagement at work. This is where the tool proves to be invaluable. It collects your data in one place with single sign-on and you can compare your improvements historically as you go and also benchmark your results against other companies in your industry. Our team feels listened to and because we're able to share the results (to whatever extent we choose) with people at any level, they actually see it for real and this motivates them to share their feedback more often. We successfully launched and completed our first engagement survey in January, re-surveyed in May and plan to do quarterly re-surveying to check how we progress in the areas we’ve identified and keep measuring engagement on quarterly basis. We also use it for on-boarding surveys for new starters to learn how to improve our on-boarding process and plan to use it for some management feedback too. "The experience we have had with Culture Amp has been more than we expected! " I love the fact that they teach you how to embrace this "People Geeks" mindset. From the creation of questions, to the launch and post survey results, we really feel empowered to be the expert in our industry, while now having this powerful tool of People Analytics to back us up. It is hard to say anything that we do not like. There are a couple of limitations to the survey platform, for example, not being able to run multiple surveys with different logos. Not a huge issue and we were able to work around it by splitting platforms from corporate in order to accommodate our needs. After looking into multiple companies, we went with Culture Amp because they were the perfect fit. We are not a one size fits all organization and loved the options to fully customize, the ability to be our own experts and the support has been incredible through this journey. For 31 years the company has been established around people. "We are in the people business, we just sell shoes" has been our motto. Although we have built this foundation, we have never truly measured it. We have always struggled with retail pay relative to hours and the comments provided help to support this. Not sure I can say we are solving problems yet, but we are making improvements in the way we do things and even look at things in order to support the "voice" we asked our employees to share! Two things: how customizable the software is, and the awesome support it has. I can run pre-designed surveys that are extremely well thought out, and I can create my own. I can customize questions, communications, and then share reports. Support is more than just answering questions, it's also about teaching clients how to use the product better. I love it! minor things, not worth mentioning in this review. try it out, you need to complete a cycle to truly see the value of using the tool. By cycle I mean have at least two instances of applying any one survey, that way you can see changes in your own results. I have data that I can use to make decisions and understand why things happen. I can track progress on initiatives, I can share information with colleagues and management. Culture Amp is extremely user friendly and the staff and level of support they provide is outstanding. They have a deep understanding of how and why their surveys were developed allowing them to be a true partner in the survey process. At this point, I really can't call out any one item I was disappointed with. It is very easy to use and you will get the support you need to drive and understand your surveys. As a start-up in a very competitive market, we need to keep a constant pulse on our engagement and Culture Amp us to quickly develop and rollout our engagement surveys. We can view reports throughout the survey and very quickly begin to act on items of concern even before we have closed the survey. "Extremely impressed with the tool and the people"
The Culture Amp tool is easy to use, with lots of support documentation online. I have also had an amazing experience working with their engaged, smart, helpful team who truly want to make me and my organization successful. They are proactive in recommending great ideas and then helping us implement them. It is a VERY self-service tool, you really need to educate yourself on how to use it. Get an "enterprise" license, even though it's slightly more expensive. You will receive a much higher level of personal support. We are now using Culture Amp to measure the employee onboarding experience, how engaged employees are, and reasons why they exit. The tool is producing predictive analytics for us, for example which teams are likely to see upcoming turnover and why. Only one aspect : It's great that the survey can be sent in multiple languages. Unfortunatly the translation are not up to par in all languages. Culture Amp is already working on this aspect so this should be resolved shortly. Inspiring a unique employee experience is at the heart of our strategic priorities. Culture Amp engagement surveys capture the diverse perspectives of all our employees so we can meaningfully improve how we attract, develop, motivate and retain our talents. "Must-have software in your HR tech artillery"
Equally approachable as an end-user and a back-end admin. Culture Amp makes data visualisation incredibly simple and digestible for all members of the team. Would love to see more integrations, specifically into our current HRIS. I know there are integrations of this type out there, but not to match our current stack. Thus, uploading new members is pretty manual. Workforce sentiment tracking on a quarterly basis: getting a pulse check on the team and figuring out where we need to spend time, effort, and/or money as a leadership team to address key issues. We've seen huge benefit. Culture Amp has guided us to launch multiple initiatives (both specific team-based and more high-level companywide) and take action based on the direct feedback from the floor. "Culture Amp clears the path so you can focus on feedback." Culture Amp provides a great user experience and immediate access to dynamic reporting. Where as in the past we had spent weeks analyzing data and creating reports manually, after using Culture Amp for the first time we were immediately able to focus on the feedback. Our leaders loved the ability to benchmark internally and externally and the ease of comparing results across different groups of employees. The user management could be improved and I'd like to see more reporting features. We're looking for feedback from our employees on how we can, collectively, become a better team. Culture Amp has helped us to zero in on high impact areas for employee engagement where we could focus our improvement efforts. "Empowering managers to influence their team's engagement. " Culture Amp has allowed us to empower our managers to take a more active role in their team's engagement. Prior to Culture Amp, we provided our managers with a static report showing their team's results and asked them to share the results with their team, and to create an action plan. Now we provide our managers with access to the Culture Amp platform. The difference is massive. They now have the ability to more accurately lead discussions around root causes of engagement topics and to choose when an action plan is needed. It truly is empowering our leaders to manage their engagement versus comply with an HR initiative. While entering a new user manually, you are not able to type in all fields and they must be selected from a drop-down menu. However, this feedback has been given to Culture Amp, they were receptive to the feedback and are looking at solutions. You don't know what you are missing until you try it! Culture Amp allows us to monitor the cultural health of our business and gives us objective data to help us make informed decisions about our number one asset, out employees. As we are using the platform for multiple survey the reporting feature need to ben improved- but they know that. Also, viewing the result on a mobile. It has been a real pleasure working with Culture Amp. Not only is the tool extremely easy to use, the data it provides in incredibly valuable to really digging into what matters to our team. The engagement drivers are also very useful, and not something you can get from other free tools like survey monkey. Additionally, the team assembled at Culture Amp is bar-none! They are extremely helpful, responsive, and know what they are talking about. They are also very present in the community! Not a lot to complain about here, but always looking for more views for different reports and how to slice the date for different teams. But overall, really great tool! Employee engagement is the number one reason we use Culture Amp. We have really been able to dig into the feedback in a meaningful way. They provide great tools to help us decipher the data. Their tech benchmark report is also hugely helpful to see how we stack up against our competitors, and where we strive to be. "Continuous improvement and impeccable user experience "
I have been using Culture Amp since 2014. The first thing that I noticed was their dedication to impeccable user experience. I am truly impressed with the continuous efforts of the team to constantly upgrade the platform and make it a more effective diagnostic tool for OD and HR professionals, leaders and managers. The "Sharing" functionality reduced drastically the time invested in distributing engagement data to managers. Their Academy is a great guide to start your journey with the platform and help other users navigate it and understand it. Their text analytics feature needs further refinement. You can review the Academy resources. We use Culture Amp to monitor the attitudes of the employees in different stages of their journey in the company. We use the collected data to inform programs and decisions within and outside of the HR function. We have implemented surveys as a part of our onboarding process. We have ongoing engagement surveys. We use Culture Amp for our Exit survey, as well. Culture Amp has been a great tool for diving into employee engagement. The Culture Amp team does a great job at supporting and advising whenever you are ready to run an engagement survey. They are extremely knowledgeable and provide a lot of insight when analyzing results. I always enjoy working with them and look forward to each survey we run! Some features within the tool can be difficult to navigate. They've recently improved their UX design which has made it more user friendly to find and administer surveys. It has a great interface for survey analysis. The heat maps and other features are great tools! We use culture amp to look at employee engagement, employee exit surveys and other surveys to get a pulse on our employee population. We use it to look at trends and how we are doing year over year. Our employee engagment survey results have helped to set focus areas for our leadership team and many other departments within the company. My favorite part about using Culture Amp has been the AMAZING customer success managers we have had. They are incredibly responsive, always willing to help with whatever we need and work toward finding a solution for us. I like that it allows us to put the data in the managers' hands directly so that they are able to cut the data in different ways on their own. I dislike that the product's interface looks rather dated compared to some of the newer offerings in the marketing. I also dislike that there aren't as many ways to cut the data as we would like. We use Culture Amp to ensure that we have a pulse on the engagement in the company, to surface any issues that may not be communicated through other forums, to give our employees a chance to feel heard and see action taken in response. Culture Amp has helped highlight areas we need to focus on such as work-life balance and systems and processes frustrations. "Best choice for Engagement Survey and cutting edge on D&I"
I love that Culture Amp is on the cutting edge of Diversity & Inclusion. We were one of the first companies to use their D&I Survey, and I am meeting in the coming weeks with Steven to pilot the next thing on this front. I also love the New Tech Benchmark - it is so helpful to be able to say, "we're doing great compared to other companies in our space" or "we're not doing so great." The Key Drivers of Engagement are also so, so helpful, because they help us to focus on what really matters on engagement, and not waste our time on things that won't really move the needle. My only wish it that there were a team at Culture Amp that helped companies to take their survey results and develop action plans with them. We are able to schedule a 1-hr call with Steven to talk through our results, high level, which is always super helpful, but it would be amazing to have a team that could help us with action planning and follow-up ideas. We are using Culture Amp for our annual engagement survey, our annual D&I survey, and most recently, our Exit Interview Survey. The benefits are clear reporting and downloadable results as well as the potential to compare year-over-year and vs. a benchmark. "Versatile, easy, flexible and fast." Culture Amp is so much more than a survey that measures employee engagement. Firstly, from an administration standpoint, being able to control the end to end admin of the tool worked really well for us. We were able to make changes and fix data/reporting errors quickly. The fact that we got real-time results and also had full control over the outputs meant we were able to act and communicate quickly, so strike while the iron was hot. Beyond the yearly engagement survey, the ability to use the platform to run pulse surveys, onboarding surveys and manager feedback surveys just meant that we got very real value for money from this tool. Outside of the technology, the support and connections I made through our Customer Success Coach and ultimately through the wider People Geek network has been invaluable on a personal and professional level. Culture Amp is way more than just a survey. I wouldn't say it was a dislike but more of a learning when I first started using the tool. It was difficult at first to transition our leaders from a mindset of being presented a very detailed analysis of our survey results to a more scaled down version of our results. Even though we got immediate results, in the beginning our leaders were looking for that consultant/outside analysis of how we were doing and what we were doing about it. I probably could have used more help in that first transition but in saying that, once mindsets were shifted, this became a real benefit and selling point of the tool. The second hurdle I have encountered is limited benchmarking data from a broader range of industries. I know that Culture Amp is constantly growing their customer base and industry coverage but until there is benchmark data in my current industry, this will be a barrier. First and foremost it is a very cost effective solution for such a broad range of uses. Secondly, the fact that we could easily do pulse surveys to check in on how our engagement action plans were going, meant that our engagement efforts became one of the main tools that we were able to use in shifting the culture of the organization which was a very big strategic priority for us. "Great customer service and one of the most user-friendly platforms I've seen"
The platform is extremely user-friendly, which is especially important because we are an NGO based in East Africa and have varying levels of tech proficiency on our team. As the person setting up the survey and reviewing the data, it was also super user-friendly and intuitive, which saved me lots of time and made the whole process really pleasant. I had a great experience and really no complaints. Previously, we didn't have a system to check for changing engagement levels, to get comprehensive feedback on engagement, or to use data to prioritize culture and engagement initiatives. Culture Amp has given us all of those things. "Culture Amp - committed to delivering for their clients"
The team at Culture Amp are very supportive and knowledgeable in helping us continually improve and deliver better insights to the business. The functionality of the Culture Amp platform is impressive and I love how we can set up our leaders with dashboard access so they can view their own teams results at anytime and use the data to determine the best actions to take. The ability to set up reporting permissions is a bit tedious, however, I am currently working with the team to determine a solution to streamline the process in future. Recommend to others who are looking for a platform that enables you to customise and run a variety of lifecycle surveys all in the one platform. 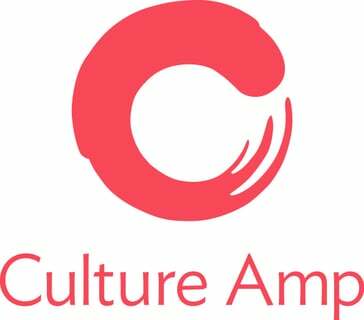 We currently use Culture Amp for our Employee Engagement surveys as well as Onboarding and Exit surveys. The Culture Amp Platform has enabled us to gain more reliable data and we are now in a much better position to action on the feedback we receive in a timely manner. As a result, we have been able to successfully deliver a number of key initiatives that have been valued by the business, as they can see action from the feedback they have provided. "One-stop engagement and employee experience platform"
I love how complete the offering is. It is designed to handle all of our engagement experience needs, ranging from: onboarding and exiting, upward/peer feedback, overall engagement and manager upward feedback. The UX and design is highly intuitive and makes it very easy to use. Two features that differentiate it are the Culture Amp Academy (makes everyone expert!) and the heat map feature, which allows you to compare and contrast different demographics in a single view. Although we haven't used widely, some of the export features haven't worked as well as I'd like. They made some recent changes that have been very positive, e.g., breaking out neutral and unfavorable responses and adding a 360 feedback tool. I urge you to give it a try! You will not be disappointed with the comprehensive platform capabilities, the ease of use and the content/templates/education built into the system. We began using to better understanding our engagement levels, specifically what is working well for us and where we have challenges. Custom Reporting ability & validity were great! The tool allowed us to create custom views of our surveys for our business leaders. Filtering capabilities can use some work, especially when it comes to seeing impact drivers etc. I think that it would be great if they could filter dynamically instead of having to build things out as that isn't too sustainable. Hopefully in the next few release cycles they fix that. I also want to see an always open model so we can always collect data on how our employees feel. Talk about your needs and how you want to design and collect data with your implementation specialist. They are so smart and know how to customize the tool for you. Using the tool we've been able to identify big pockets of unsatisfactory performance and refocus our efforts. We've had an uptick in people noticing our efforts and providing more discretionary effort in their work. "Culture Amp is helping us drive change!" Compared to other platforms we looked at, Culture Amp was the most user-friendly. The seamless interface and ease-of-use played a significant role in the participation rates from our associates. My biggest challenge with the Culture Amp platform is the limited ability to sort results alphabetically. As a result, it can be cumbersome searching through 100+ leaders trying to find a specific manager report. Culture Amp is the first true engagement surveying tool that we have used at OneAmerica. Through our annual and pulse surveys, we have been able to identify what's going well, and where we need to take additional action. "Great Reporting and Feedback Delivery Tools"
The reporting is great- very intuitive, flexible formats (excel, pdf etc), great visuals (heat maps, charts and graphs) and a huge variety of filters you can use to slice and dice the data. You can easily create customized reports for different audiences and share them with Internal leaders with a click of a button. Everyone I have shared reports with finds it very easy to use and they love it. The text analytics feature is really not as helpful as I thought it would be but it kind of makes sense. The truth is, if you really want to get more context and add color to the numbers, you just have to read the comments, there is no easy way out of it. Employee engagement, insight into reasons for turnover, employee attitudes about diversity and inclusion. "Culture Amp gives me confidence that we're working on the right initiatives"
We are using Culture Amp to show a commitment to our employees that we are working on improving areas that truly impact how they feel about their jobs. We're currently developing a more structured career development toolkit, as that was the #1 area that employees said would help them feel more engaged. "Have loved working with Culture Amp team and the tool"
The team are agile, savvy, forward thinking and passionate about helping organisations truly have an impact on people engagement. The tool, its' flexibility and comparative data/benchmarking has been outstanding and has been an enabler for our cultural change. Benefits - Mobile, real time with speed, accessible surveys and data. And a move for us from old world to new technology and look/feel of surveys that are user friendly and easy to make sense of for anyone. "An easy, user friendly, flexible feedback platform to better understand our people "
visibility of the feedback and usability of the system. we love having the ability to interrogate the data and drill right down to see our pain points. I also like being able to control the feedback to management to ensure participants have confidence in anonymity of the program. I really dont have anything negative to say about the program just yet. We have only been using it for around 12 months. The price of the licence fee also allows us to do more regular surveys on a number of other areas of the business eg: exit surveys, recruitment satisfaction etc... We are learning more than just how engaged our staff are and there has been positive change that action will be taken as a result of the organisation listening to our people. The interface is nice to look at, its slick and not overwhelming for our employees. Whats great is that it is so anonymous that a manager is unable to see responses if its a team of 5 or less because then they could pinpoint. nothing I can think of to be honest. its really great. Would like some more benchmarks, but that's about it. Meets my needs otherwise. Just reach out and talk to them - they make things so easy. Has given us an opportunity to establish baseline survey results in an easy to use, validated platform. We have a better understanding of how to increase our employee engagement than we did before we started. "Makes the Performance Management process much easier"
CultureAmp is a great platform for our employee engagement and effectiveness surveys. It is very easy to navigate through the system, and facilitate surveys whether using the provided templates or creating a new template. In addition, it has a lot of "bang for the buck" and has become a cost effective partner for our HR team. While this has not been a problem, I would prefer a dedicated account manager that I can call or email at anytime with questions. The structure of a shared email address and "Office hours" has worked for us, so I would not say this is a "dislike". Unfortunately, I am required to answer. Employee effectiveness surveys as 360 reviews to utilize as part of our Performance Management process. Culture survey, exit survey, onboarding survey, training survey, collection of ideas. "CultureAmp has been really important it getting a pulse of employees at our company, at every level." We get the most value out of breaking down results by team. Also, it's so user friendly and intuitive compared to other HR systems I use. We've had a few different people in HR managing this project over the years and the data is not consistent - for example, how you cut the data by a given demographic - "department" vs. "departments". Just be sure to keep data consistent over time! Small tweeks in how you spell a demographic will change your comparative data over time. People are our biggest asset - we need them to build our product, to market our product, to support our customers. The more insight we have in how we can better engage employees the better. Culture Amp tool has allowed our leaders to get access to data and qualitative information much more quickly than when we did it in-house and design action plans to address what we learn. I like how easy it is to set up the survey and look at data. There is an ability to customize questions and that has worked for us. The ability to see historical information side by side - comparing last survey results to this one - isn't easy to do. You can compare and see how many points the response has gone up or down, but to see everything visually at one time isn't possible. Consider what you want to use the results for and make sure you have executive support from the beginning. We have a culture where feedback is encouraged and we want to continually learn and evolve. Using Culture Amp has helped us to gather this feedback in an easy and unobtrusive way. We have only run 2 surveys, so still learning about the benefits. "Great Resource for Team Feedback "
I appreciated that you were able to leave qualitative feedback to explain any very high or very low scores. I also feel that the survey provided the team with a way to organize the data and determine the best steps to move forward. I have already seen the team start to make changes based off of the results. I was slightly overwhelmed by how many questions were on the survey. I thought it was a little too long. Culture Amp is enabling teams to learn how their employees feel and take action based off of those feelings. The ease of the application, very intuitive. Excellent customer service. Karina goes above and beyond to accommodate you. She replies same day and many times within the hour. The team makes you a priority. They continue to improve by adding more features to the application. We are enjoying the new features. They also provide direction and guidance if the survey needs to be improved in any way. After a survey closes, they are there if you would like assistance understanding the survey data. Sometimes there is a lot of data and it helps to have the support to understand the data and how it could be interpreted. I have not come across anything I dislike. Culture Amp will exceed your expectations. They are positive, knowledgeable and professional. The customer service is absolutely amazing! The replies are same day if not within the hour, extremely efficient and timely. Just try it, you will not be disappointed. The company, application and team will go above and beyond and will exceed your expectations. Culture Amp provides an application for all survey needs. They also provide many customizable features, which is nice with a very large organization. A great feature is the Focus Agent, which assists our organization with providing a more direct/clear approach for managers with what they should focus on as though you have your own I/O Psychologist. "Incredible team, intuitive platform "
I love that the CultureAmp team is so helpful. They're always looking for new ways to help out, connect and ensure we're effective with everything doing, even if it doesn't pertain to the software. The platform itself is highly functional, survey responses populated in easy to use visuals, ensuring we're making the important changes necessary to improve our team. We've only been using the platform for 9+ months, so there's not too much I've had an issue with yet. They're focused on improving the tech industry as a whole - their partnership with Paradigm to create a free inclusion survey for tech companies to use underscores the commitment they have to creating positive and long lasting change. They allow us to understand how different demographics of employees are engaged, to better tailor and adapt programs to those folks. Further, the inclusion survey has helped our team immensely in focusing our inclusion efforts to retain team members. "Great product to perform a deep dive on employee engagement"
This product allows us to ask deep questions from our employees which can deepen our organizations work to stay on mission and on our strategic plan. I wish they had more benchmarks across industries. That would be quite helpful. We are fine tuning our work through the knowledge gained from employees. "Insightful tool for culture reviews"
I liked Culture Amp’s detailed results-sharing module that compares our company to industry information. Given that this was our first company survey, we couldn’t compare against ourselves. Having benchmarks to compare to was helpful. I did not like the way you had to click into a separate window to provide comments from the user side. I think this minimized insights received. We are assessing our culture after a period of rapid growth. The benefit has been insight into employee behavior and roadblocks we would have otherwise missed. "Great tool and great people geeks!" Culture Amp tools are very easy to set up, fun to use and very strong in their reporting features. In addition, it is a pleasure working with the Culture Amp experts. Support is excelllent, and I am especially impressed by their innovative spirit to make a great tool even better. If anything, there are currently still some minor features missing in terms of reports in local languages. Culture Amp is already working on these features. By using the tool, the benefits become obvious very quickly. Culture Amp provides us with tools to measure employee engagement and define appropriate actions. "Great tool, quality consultative support, an extension of our team"
I love that the tool is easy to use. I can configure a survey in minutes with either recommended questions or questions of my own. The manual employee updates. I am looking forward to the Namely integration. We use Culture Amp primarily to test employee engagement, which helps drives priorities and initiatives. We also use culture amp for attrition data + exit surveys. We have found we receive much more robust feedback from exiting employees with the survey + interview functionality. We are also planning to use CA for feedback on programs - onboarding, intern experience, etc. "Value adding and easy to administer "
The survey through Culture Amp allow us to identify the areas where we need to focus in terms of our people engagement. "Amazing tool + fantastic customer experience and support = valuable partnership"
The tool is very flexible - allows you to configure lots of different reporting and share with different layers/levels in the organization. The data visualizations really help hone in on key insights. There isn't anything I really dislike. An ongoing challenge is to not forget how to administer the tool given then we are not in it every day. Identifying and then focusing on what matters most to our people was a problem that Culture Amp helps us solve. We have realized the benefit of pushing the data down further into the organization to catalyze action. A very user friendly UI that makes members of People team and management team engage with the product. Great reporting as well. It's become one of our most beloved and widely used HR tools. This is minor, but New Tech benchmarks still need to be uploaded by Culture Amp support team (we email them after the survey is done). They are very fast to respond though and we never had an issue. Has been a great tool for us to keep tabs on employee engagement and development of managers. Culture Amp makes it easy for us to survey employees with easy to use interface, relevant questions, and useful analytics to keep the company moving forward. I'd like to see more options for integrations and additional action planning tools. Great product, great value. I highly recommend for employee engagement. Our previous employee engagement software was clunky and the results were difficult to understand. It was hard to explain the results, which in turn made it difficult to plan improvements. Culture Amp has made it easier and quicker for employees to complete engagement surveys, resulting in higher participation rates. They also allowed us to automate onboarding and offboarding surveys. The analytics on the platform are also easy to use and allow us to implement changes when needed. "Seeing great results with Culture Amp products"
The survey designs and the research they are based on. Employees are communicating that they enjoy the survey user experience. Great customer support, particularly Karina Rook. Karina has the ability to quickly step into her customer's shoes/understand their needs, while providing friendly and effective support that helps us realize results. Get our team members, managers and organization the feedback needed to understand current performance, and thoughts on how they can improve performance. Ease of use, benchmarking, quick to go live. Nothing. The more users the better the benchmarking data. Working out what engages team members, and how to improve these drivers. "Culture Amp is our key culture partner"
* We monitor all Culture Amp reviews to prevent fraudulent reviews and keep review quality high. We do not post reviews by company employees or direct competitors. Validated reviews require the user to submit a screenshot of the product containing their user ID, in order to verify a user is an actual user of the product. Hi there! Are you looking to implement a solution like Culture Amp?